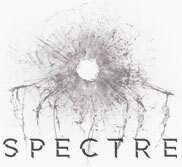 Theatrical Trailer: The full theatrical trailer for 'SPECTRE' was released on 22nd July 2015. Running at 2 minutes 30 seconds, it features all the major location work except Morocco, which was being filmed at the time the trailer was being cut. Final Trailer: Unusually, a shorter 'final' trailer was released on 2nd October 2015. Scenes from Morocco were now included, as well as special effects shots from the pre-title sequence as VFX work was completed.